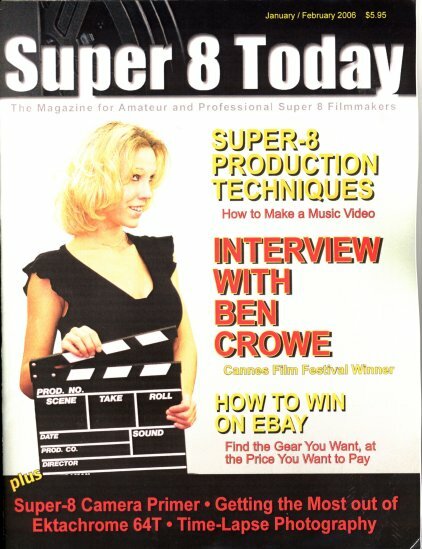 15 copies of an early edition from the new 'Super 8 Today' magazine from editor Chris Cottrill in the USA turned up at Ealing for free distribution at the 51st BFCC. Similar to 'Small Format' (15 copies of the latest issue of which were also available at Ealing at a reduced price) in content this is again a professionally produced glossy journal with lots of useful tips and information on shooting with Super 8. The back cover of this issue is very intriguing. 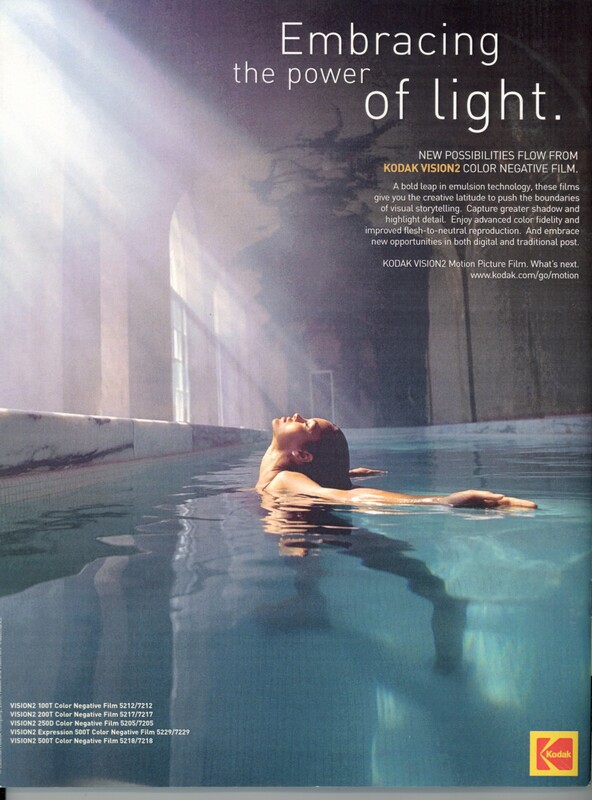 Is that a Kokak advertisement for Super 8? If so, we have not seen the like from Kodak since 1851 (or thereabouts)! 'Men Behind The Movies Reel 2' is now available. The continuing potted history of film collecting and its background: Cineavision, PM Films, Classic Home Cinema, Derann Films and the British Film Collectors Conventions. Told by those involved in the film industry, recalling the films, the dealers, the collectors and the day 'Film 86' came to town! See the Filmtek pages for the box covers. The BBC visited the headquarters for the BFCC in Ealing (AKA The Sprocket Hole) for a film about 1930's to 1950's automobiles using some of the vintage projectors fished out of the infamous secret bunker! 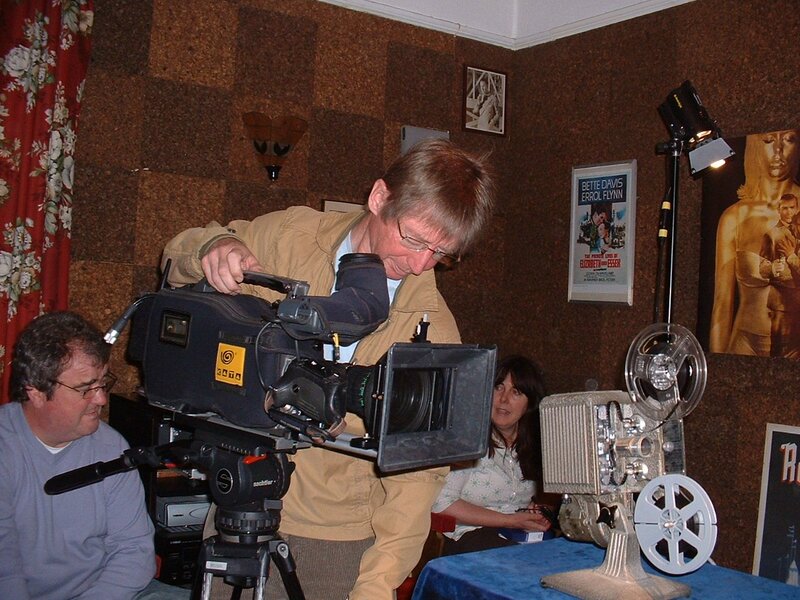 The BBC intend to return to film the projector, camera and cinema collection for a future London only programme. Sorry you'se lot up North but you've got more water than we have!! !